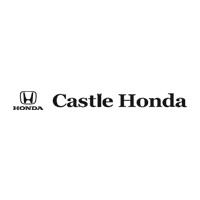 Buying a car in Castle Honda in Morton Grove, IL is an experience that you will want to repeat. A professional approach and many satisfied users have contributed to our rich experience, which makes us a successful and respectable dealership today. Our rich inventory of new vehicles, which includes the best Honda models such as the CR-V, Pilot, Odyssey, Accord, Civic, Clarity, Fit and many others, attracts buyers from Morton Grove and the surrounding area because here every driver can find a car that meets their wishes and needs. With a variety of available auto financing options, we will surely find the one that will fit into your budget. We are proud of our competitive prices and flexible payment terms because every Honda fan can afford the car of their dreams. In addition, we also offer you the opportunity to sell your existing car to us. Through our free Value your trade application, you can find out the market value of your current vehicle that we are ready to offer you. Do not miss out our time-limited new vehicle Specials, in order to buy your favorite car or SUV at lower prices and even better payment terms.